Are You a Professional Woman Looking for ‘The One’? Would you like to know the secret to meet high quality men that want commitment? Put an end painful relationship patterns so that you can have the relationship you’ve always dreamed of! If you’ve answered yes, I can help you. 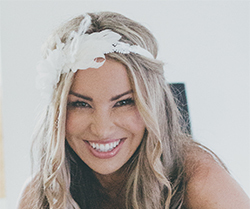 I’m Samantha Jayne, I’m Internationally Accredited Coach and Relationship Expert to Channel 10’s The Bachelor. I’m regularly interviewed by the media in Australia and around the globe. I have real credentials and over 10 years industry experience that can help you transform and get the relationship you want fast! I’ve helped thousands of successful career women become more confident with men, find the one and inspire commitment in him. If you’re tired of wasting time with disappointing dates and want to find REAL love then get register below to apply for One on One Coaching with me. I guarantee that after spending a couple of weeks with me, your whole approach to dating will change. My goal is to make sure that you don’t need me any more. I’m here to empower you and help you build your dating IQ. When our time together is up, you should be able to make your own healthy and informed decisions.